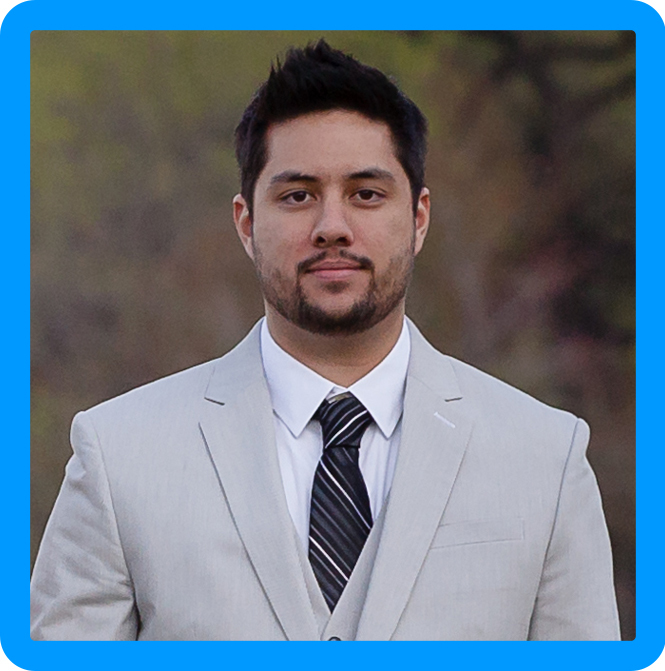 An application profile will define the behavior of a specific type of network traffic. Once the profile is configured, you can associate that specific profile with a virtual Server (VIP). The virtual server will process the traffic using the settings you provided. Step 1. 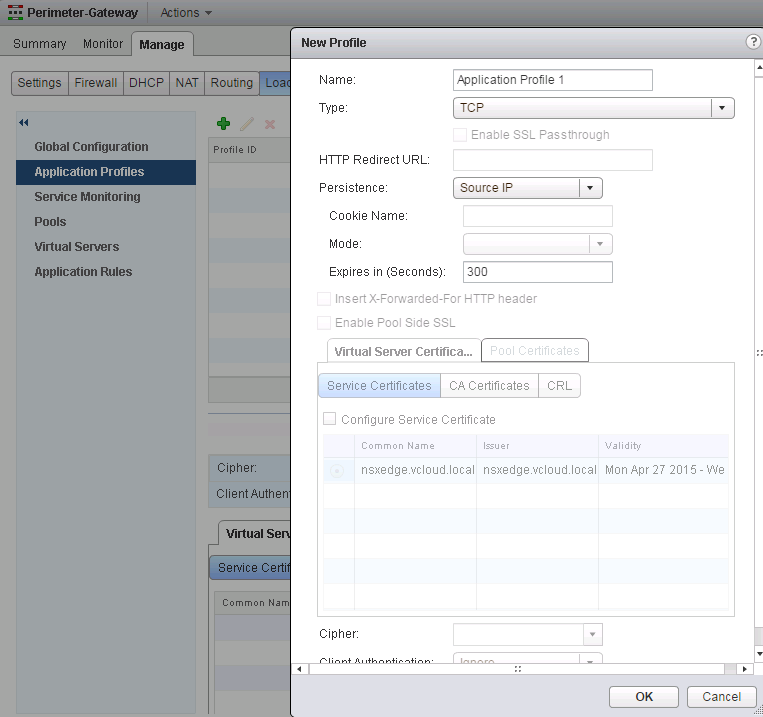 On your Edge Services Gateway select Load Balancer -> Application Profiles then click the + sign. Specify your Application Profile Name, Type, HTTP Redirect URL, Persistence, Cookie Name, Mode, Expire, Headed, SSL and Cipher information then click OK. Some of these will be greyed out depending on the type that you use. Type: The type of traffic for the Application Profile. The following types are supported – TCP, HTTP, HTTPS, or UDP. Persistence: Persistence stores and tracks session data. This is important because it will ensure that all external client requests are directed to the same pool server throughout the life of a session, or even during subsequent sessions. You can specify Cookie or Source IP. If you select Cookie, you will give your cookie a name and the first time the external client accesses the site the cookie will be inserted and all subsequent requests persist the connection to the appropriate pool server. There are three types of cookies you can use. Insert, in which the ESG sends a cookie and if the pool server sends multiple cookies, the external client receives an extra cookie. If no cookies are sent by the server, the client will receive the edge cookie. This option will be used most frequently as all browsers accept multiple cookies. Prefix is the second option, and is only used if the external client doesn’t accept more than one cookie. The last option is App Session instead of the server sending a cookie, it sends the session information as a URL. Source IP: The persistence will be based on the source IP address of the client. The ESG will confirm if the source IP was previously connected to ensure there is persistence to the same pool server. Expires: The time in which the persistence will expire. Insert X-Forwarded-For HTTP Header: this option is used to identify the source IP address through the ESG Load Balancer service. Cipher: The cipher algorithm to be used during the handshake. For more information, please see VMware documentation regarding Application Profiles. The Traffic Type to Persistence Method supported is show from the documentation below. Step 1. 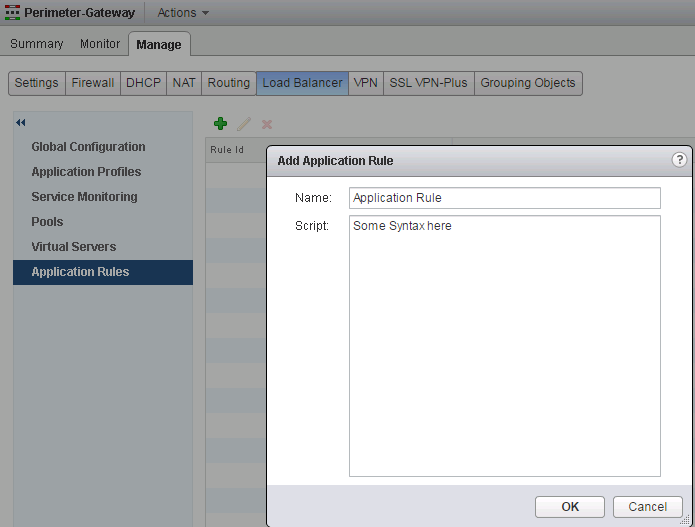 Select the ESG and then click Load Balancer -> Application Rules then click the + sign. For Application Rule Syntax, please click here.